If there's one truth that never changes about cigars, it's that they're great for celebrating! As both a time-honored tradition and a social event, getting together for cigars seems like a natural way to commemorate an important milestone. Here are 5 great occasions for lighting up. One of your friends is tying the knot? Great! Get together with all your buddies, pass out the stogies, and offer your congratulations. Your friend is about to embark on a new life with their loved one. Even if you don't really like their chosen spouse, this is an event only for positive words. Wish your friend the best and be sincere in your hopes for their future. They'll appreciate the gesture as much as the cigars. And if you're the one who's getting married, your friends will love knowing you haven't forgotten them. Getting ahead in this world can seem like an endless slog uphill, both ways, through the mud. That's why when you or a friend get a promotion, it can feel bigger than an Olympic medal. Promotions are the perfect time to have a smoke, and if your boss and colleagues are involved, you may be given a cigar that you've never had a chance to try before— probably because it's out of your price range. But when it comes out of the corporate account, that's another story! Ever since the beginning of history, new babies have always been a cause for celebration. Starting (or adding to) a family is a huge milestone for anyone, and a new parent may be excited, joyful, nervous, or all three. Light up together and offer your hearty congratulations, or if you're the new parent, just soak them up. At last your team won. Maybe it was a championship, maybe they defeated a hated rival, or maybe they finally broke a losing streak. It doesn't matter: it's still a win! Break out the smokes and accompany them with cheers and high-fives. Maybe all your positive celebratory energy somehow gets transferred to your team. Who knows? 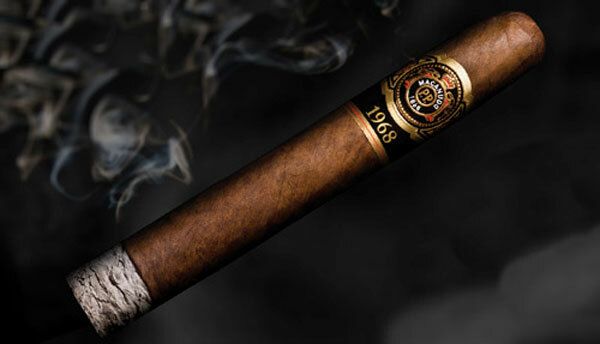 So, you have these great cigars waiting in your humidor and you're just itching to smoke one. And yet, none of your friends are getting married, promotions are distant, nobody's having kids right now, and your favorite sport is in the offseason. Well, light one up anyway! Better yet, invite some friends over and light up together just because you can. If anyone asks you "what's the occasion?" just ask them, "do we need one?" Getting together just for cigars could turn into a repeated event, and then you'd never be stuck without a reason to smoke again. It's a win-win situation. 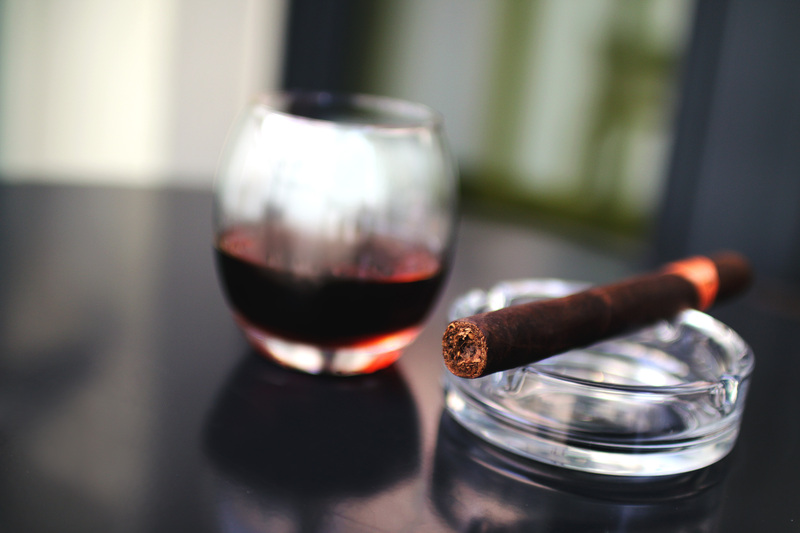 These are only 5 occasions to have a cigar, but there are as many more as there are days in the year. Don't feel limited in your choices; if you feel a need to celebrate, you're a lucky person to have such happiness in your life. Light up and savor it. We have written before about how important it is to properly cut a cigar, but what if the cutter itself fails you? An old or dull cutter can crush, tear, or otherwise ruin a good cigar, leaving you without a smoke. Fortunately, it's possible to do some simple maintenance on an underperforming cutter and hopefully get it back into shape. 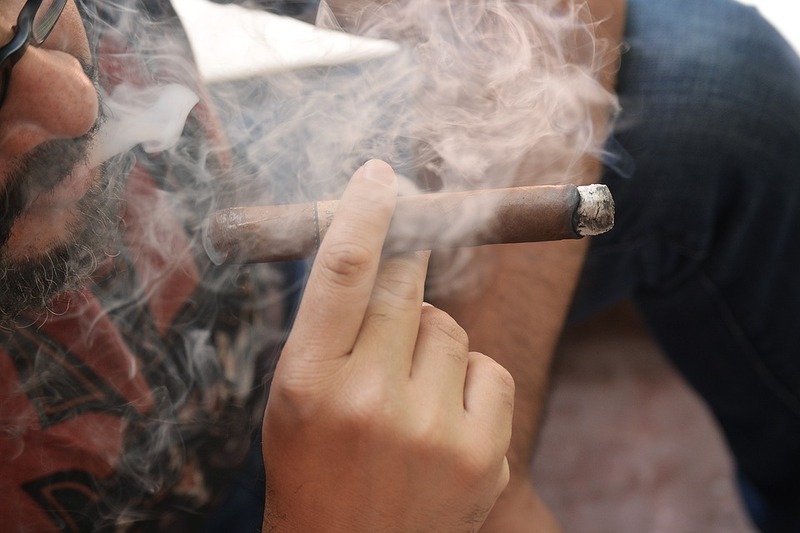 While cigars can be enjoyed alone, they are also one of the most popular things in the world to share among friends and colleagues. 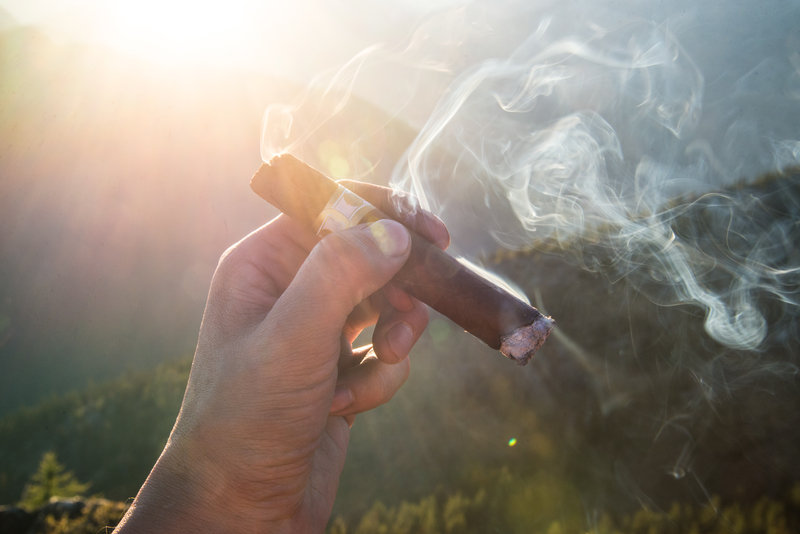 Cigar-smoking events can be held for many reasons; they're perfect for celebrating triumphs and big life-events like promotions, marriage, the birth of a baby, and other successes. Other times, friends will gather to smoke together just for the fun and camaraderie of it. As in any social situation, there are rules and etiquette that should be followed in order to be an ideal guest. 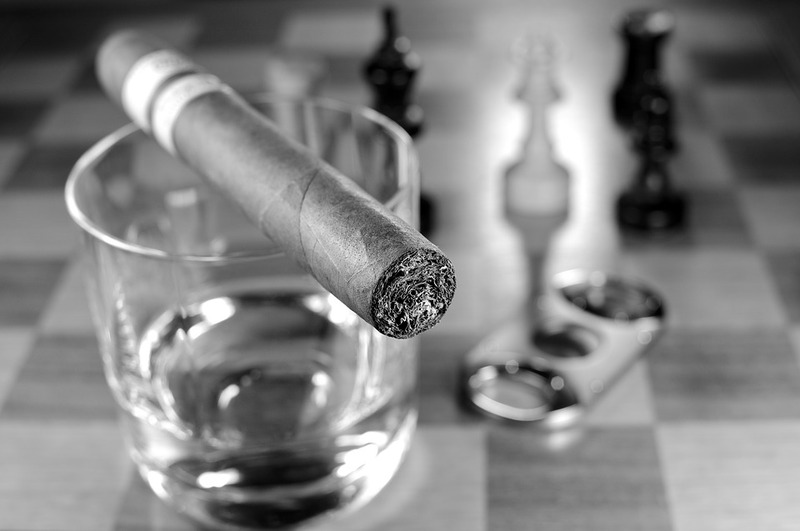 If you have a cigar event coming up and you aren't sure how to conduct yourself, here are some tips that will help you make a good impression and get invited back. Should You Take the Band Off Your Cigar? It may surprise you to learn this, but there's actually a longstanding debate around whether or not smokers should remove the bands (labels) from their cigars. But why is there so much controversy over such a simple thing? If you've been following along with our blog, you know how to cut and light a cigar like a master. Now, you're ready to become an expert at the act of smoking. Cigars are nothing like cigarettes; they are meant to be enjoyed differently and there is an art to it— not to mention, if you're smoking with others who are more experienced than you, doing it wrong could be embarrassing. 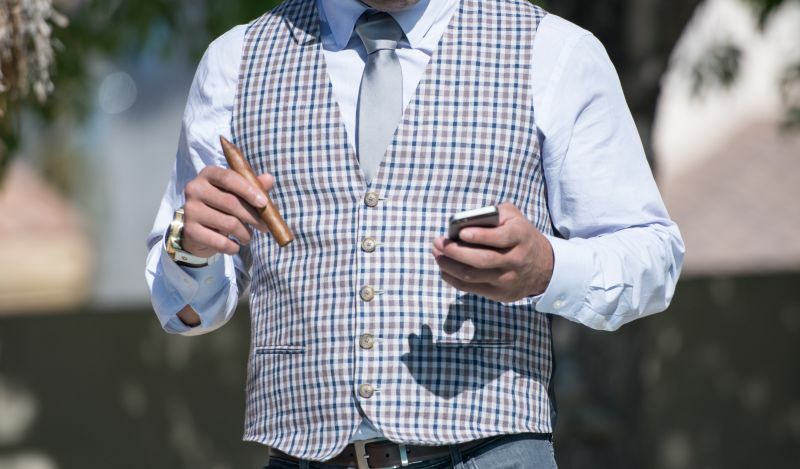 Appearances matter, and cigars are a symbol of wealth and power, so you want to look like you deserve to be smoking one! If you've invested in a quality cigar for your enjoyment, the last thing you want to do is somehow harm the experience for yourself. Many people new to cigar smoking simply treat them like big cigarettes, and by lighting and smoking them incorrectly, they are never able to fully appreciate the cigar the way it is meant to be smoked. 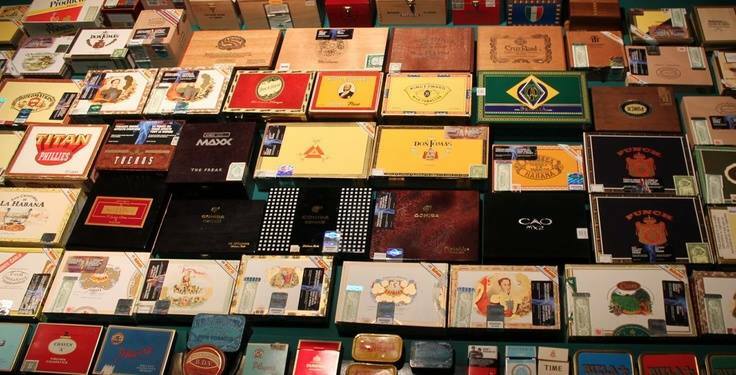 However, experienced cigar smokers know that cigar smoking is an art, and they know just what to do to get the very best smoking experience. First, we are assuming that you know how to properly cut your cigar, a necessity before you light it. If you need a refresher, check out our blog entry How to Properly Cut a Cigar. There are a lot of ways to mess up a cigar— improper storage, lighting it incorrectly and so on can harm or even ruin the smoking experience. If you cut it wrong, though, you may not even get a chance to smoke it at all. A badly cut cigar can burn too hot or completely fall apart! If you have smoked cigars before and are simply looking to improve your technique, you can skip this paragraph. But for the purposes of instruction, let's say you are brand new to cigars. The end you cut is called the head. The head is the end you put in your mouth for smoking, near the label. The reason you need to cut it is that cigars are made with a closed, sealed head to help lock in as much freshness as possible as well as to keep the structure of the cigar secure. If you don't cut the head, you cannot smoke the cigar. How did snuff and tobacco become so popular you ask? Jean Nicot experimented with crushed tobacco leaves used as a snuff for curing migraine headaches. In 1560, Nicot gave a sample of this home remedy to Catherine de Medici who also suffered from chronic migraines. It was effective in relieving her headaches and the popularity of tobacco snuff grew among the aristocracy. In fact, people became so enthusiastic about its powers that tobacco became known as "Herba Medicea" or "Herba Catherinea". Tobacco was first used by the peoples of the pre-Columbian Americas. Native Americans apparently cultivated the plant and smoked it in pipes for medicinal and ceremonial purposes. On October 12, 1492, in the gulf of San Salvador in the Bahamas, Christopher Columbus discovered tobacco. He and his crew saw the natives there growing the tobacco and soon realized that it would become a valuable commodity. The name tobacco and its origin are still being debated. The word tobacco was used among pre-Columbian natives of the West Indies. Those who took it back with them called it tobacco; the Mayan verb "sikar" meaning "to smoke" later became the Spanish noun cigarro. Smoking tobacco has been something that people have been doing for almost as long as civilization has been around. Over the years, there have been ways to enjoy the rich flavors and calming nature that many smokers find from their favorite brands, there is also another part to all of this, however. Many of the popular companies that we see today started off as just a simple dream. Before these brands grew into the well-recognized labels, they had to first start off with something much smaller. White Owl Cigars is one of the companies that not only was able to grow in popularity but can also be viewed as a story of the American dream. Welcome to Unique Cigars of Orlando!